2. 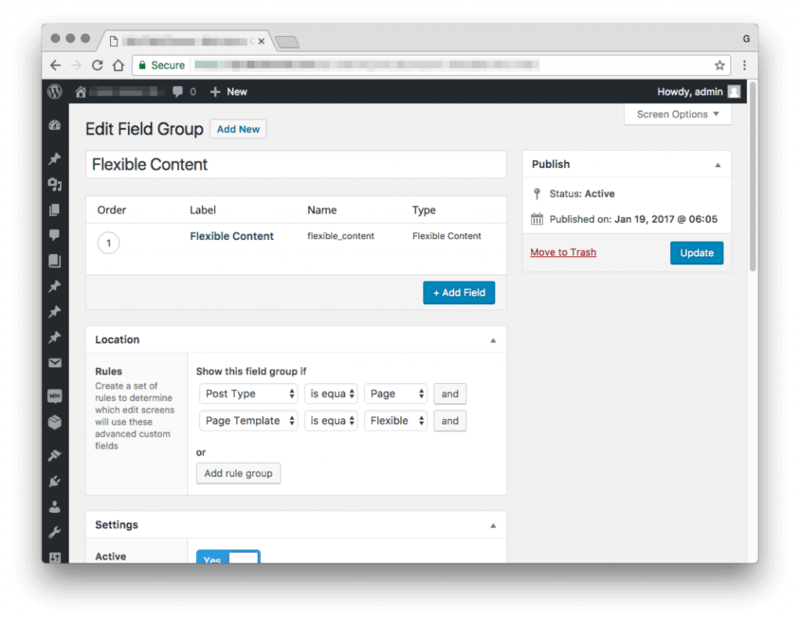 Install Advanced Custom Fields PRO. 3. Create Field Group for define template. 4. 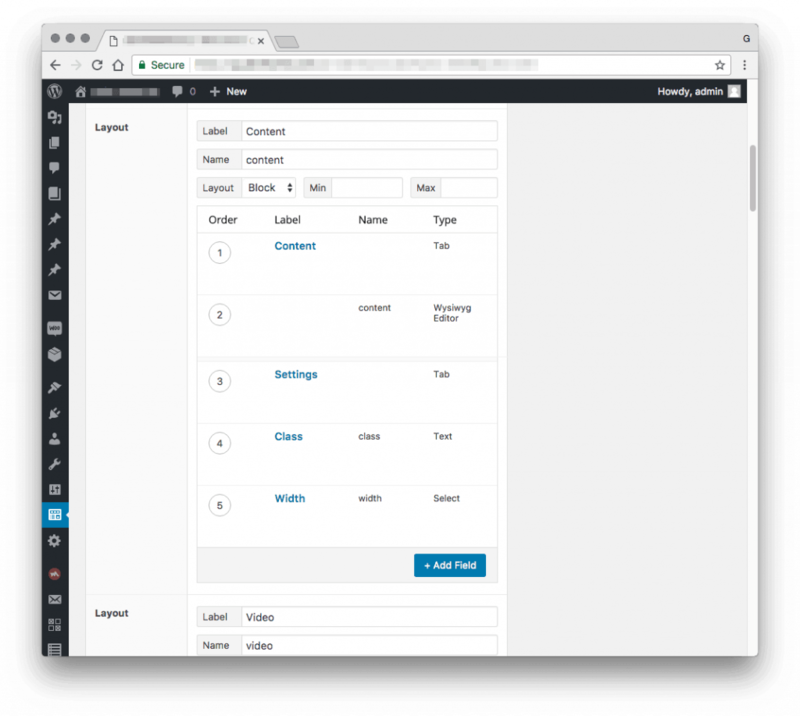 Add layout (e.g., content). 5. Create template for each layouts.